I produce land cover change data…Have I mentioned that before? One thing I see/hear a lot is people getting confused by percentages of change that are quoted to them or people incorrectly stating the percentages of change relating to features in the data they are using. Here’s what I’m talking about: we have a mythical geography that is 20 units in size…think square miles, acres, scrupulums (it’s an ancient Roman measure for area…I looked it up). 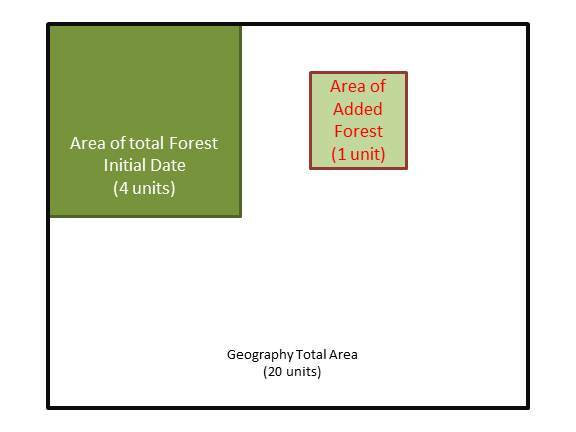 In the initial date (where our story begins) there were 4 units of forest. 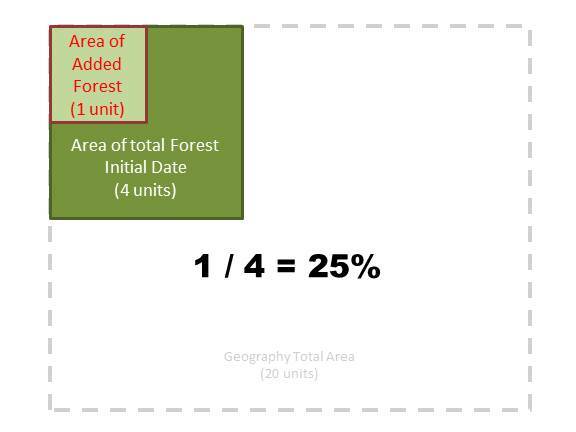 Between this time period and the following date, 1 unit of forest is added. 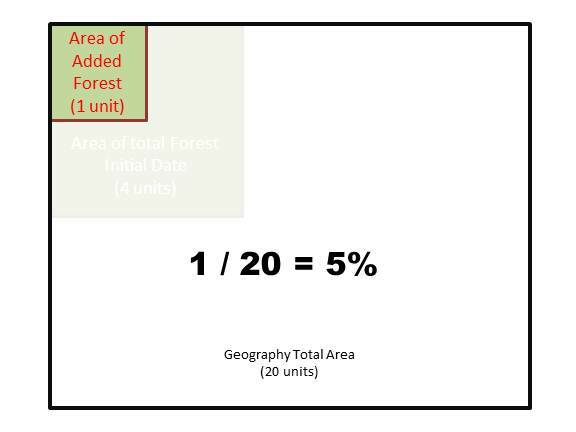 So what percent did the forest increase? The answer is both B and C…It is all depends on your perspective. Neither of these ways of stating the percent of change are wrong, but just be sure to clarify which you are discussing and what that might mean to you. For example, you may state that there was only a 5% increase in developed area, but if you had 200 square miles to begin with, that 5% increase translates to 10 square miles of new development (which is not a small number at all). On the other hand, you may state that you had a 100% increase in development (sounds big huh? ), but if you started with only 1 square mile, that means you only added 1 square mile more. Very different numbers indeed. And, if you’re still hung up on getting a joke related to scrupulum, I don’t blame you…let me know if you come up with a good one.